Led by CA. Vivek Purohit (M.Com, F.C.A., D.I.S.A. ), V. Purohit & Associates is a Mumbai (India) based Chartered Accountancy Firm. We go beyond the traditional definition of accountants and offer comprehensive business support services, consulting, training, and strategic services. We work with clients across size, sector, scope, and complexities to offer professional, insightful, and future-ready solutions. We strongly believe that empowering your own people is the smartest, most cost-effective, and strategic approach. Building strong internal teams, systems, and processes rather than outsourcing is the philosophy that drives us. We believe that businesses should focus on in-house activities, knowledge creation and team building for true success. Hence, we constantly strive to provide in depth solutions to strengthen core activities rather than a range of different services. From top management to operational level staff, our services are focused on resolving core issues and challenges faced by each team. 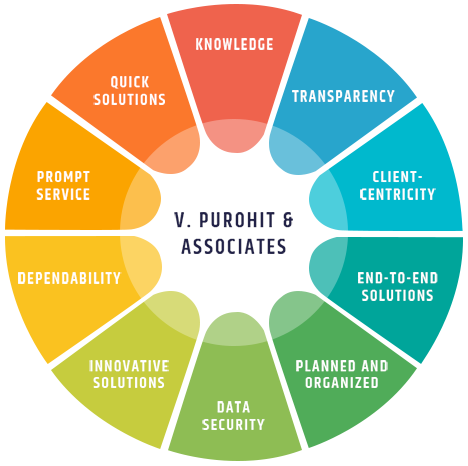 Built on the pillars of Knowledge, Transparency and Client-Centricity, V. Purohit & Associates is a Young and Dynamic organization. We offer hassle free end-to-end solutions so that our clients can focus on their core business functions and experience peace of mind. We follow a planned and organized workflow so that our clients are always in the loop about the status of their project. Based on specific requirements, we can mould our processes, enhance data security, and develop innovative deliverables. Experience, Dependability, Prompt Service and Future-ready Solutions are the factors that differentiate us. V. Purohit & Associates is a team of seasoned professionals with extensive corporate and business experience across domains and functions. A perfect blend of young professionals and experienced stalwarts, we have a team comprising of registered members of the ICAI and technical experts that allows to offer a wide range of services under one roof. 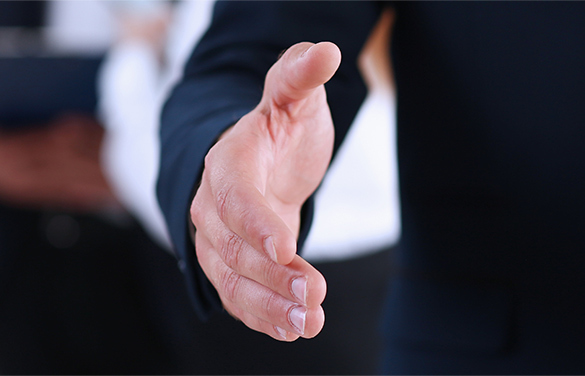 The core team includes Chartered Accountants, Lawyers, Company Secretary supported by a team of highly skilled and knowledgeable assistants and office staff.